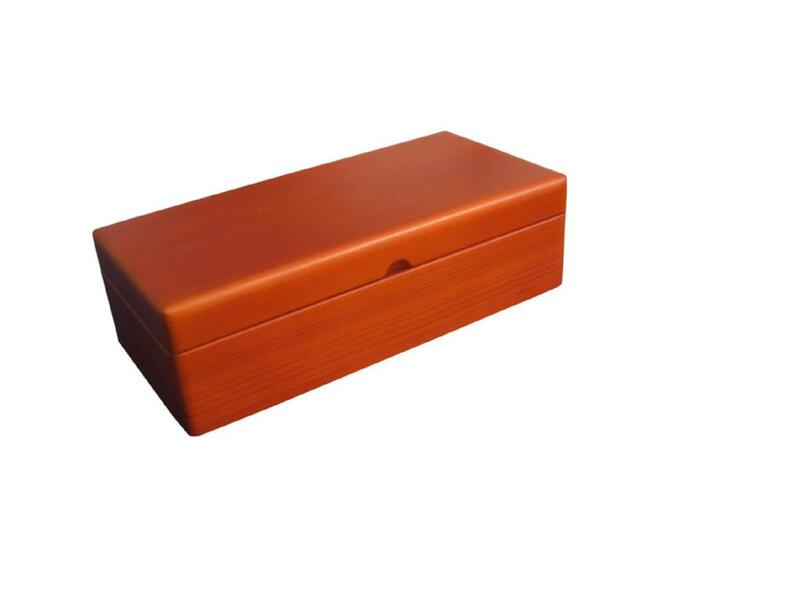 Made of solid beech wood, this wooden golf ball box is 23x11.5x6.5cm and stained with a rich brown stain throughout. 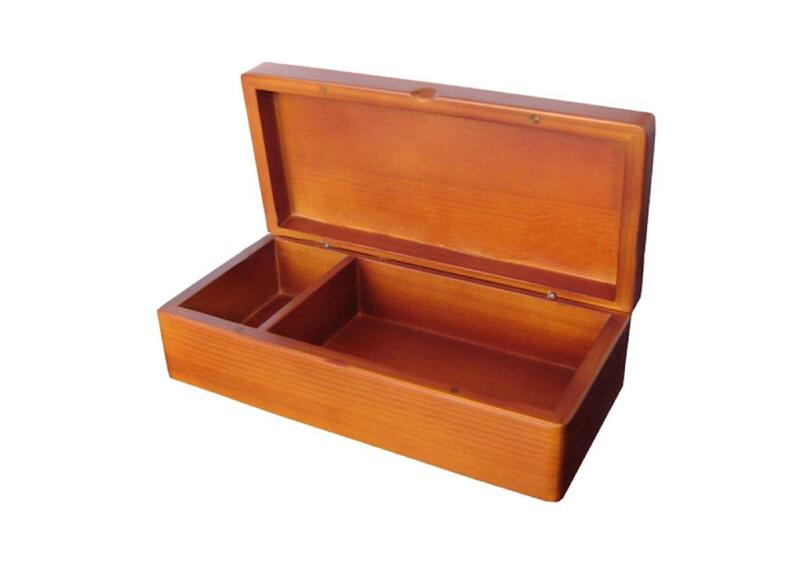 Designed to hold golf balls and tees, it is nicely divided into two compartments to hold the balls and tees. This golf ball box is equipped with ball hinges and the corners are rounded.